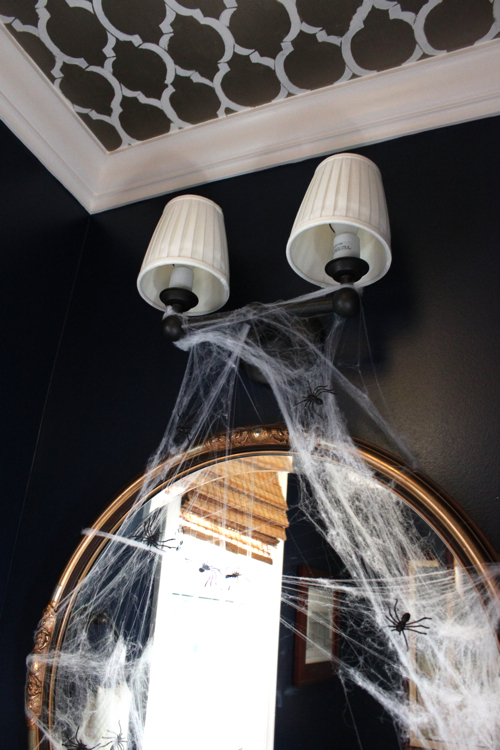 I have a minor obsession with the fake spider webs. Cheap and easy with a great effect. Doesn't get much better than that. I have used them out front last year and again this year but I also decided they could be fun inside as well. 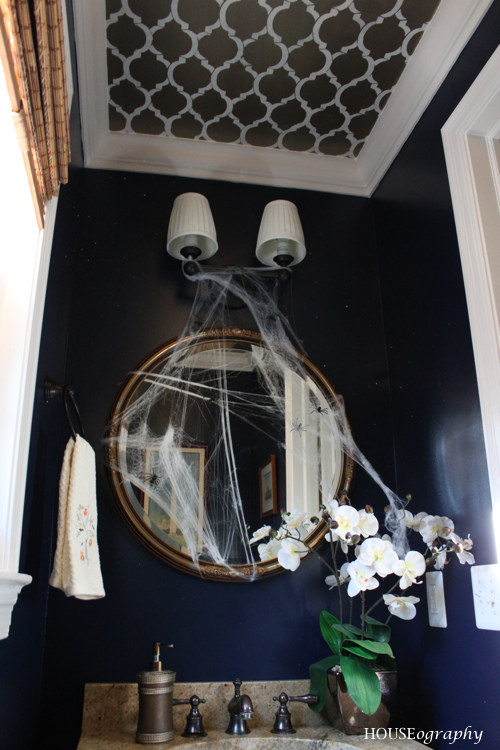 My kids love that I spooked up the mirror in our powder room. And a few glittery spiders for good measure. Not sure that Handy Hubby has used this bathroom since I decorated - he is not a fan of spiders!